Baltimore, MD – August 2010 Experience an even longer and action packed trail: filled with incredible new scares, impressive new scenes and even more gore. You’ll find a few new surprises that will leave you screaming for more. Creepywoods Haunted Forest, is a Halloween adventure now in it's 3rd Year located on Huber's Farm in Kingsville, MD, just minutes north of White Marsh Mall on Rt. 7 (Philadelphia Road). Summon your courage and prepare to enter the dark of the forest in a walk-through haunted trail filled with live actors, awesome special effects and amazing monsters! Come face to face with terrifying creatures and tortured souls that are neither living nor dead roaming about in search of their next victims. We’ve been working all year creating the newest and most diabolical scares for you to enjoy. Come experience why Creepywoods Haunted Forest is Maryland’s Fastest Growing Halloween Adventure! Bennett’s Curse celebrates “10 Years of Fear” at a new location. Baltimore, MD – August 2010 Bennett’s Curse Haunted Attraction is Maryland and DC’s Best and Most Terrifying Haunted House. 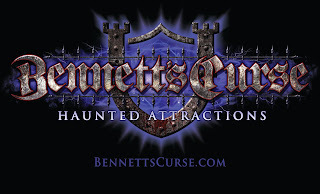 Rated as one of the Top Haunts in the nation by sources such as MSN, AmericasBestHaunts.com, The Reader’s Digest, Haunted America Tours, The Travel Channel, Hauntworld.com, Haunternet.com, Haunted Attraction Magazine and more…Bennett’s Curse was featured on the Travel Channel’s America’s Scariest Halloween Attractions #3. For a decade the evolving tale of the demise of Castle Bennett’s and the mind bearing terror of the Sanctuary of Insanity has entertained and thrilled thousands. Join us once again this year in the House of the Vampyres as we unleash our Biggest and Scariest show ever in our all-NEW location at Blobs Park, just a few minutes south of the Arundel Mills Mall. The first 9 years were only the beginning of the nightmares to come. 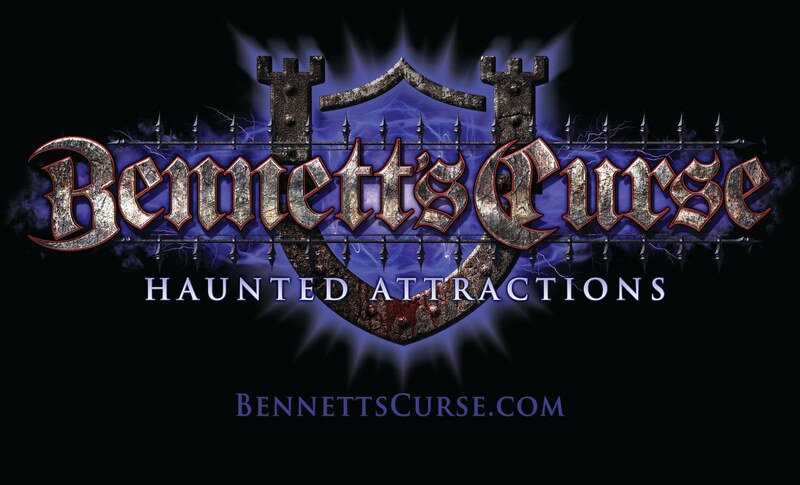 We invite you to experience the legendary Bennett’s Curse Haunted Attraction and discover Maryland and DC’s most critically acclaimed haunted house of all time.